Vitamin D is made in the skin when exposed to summer sunshine (UVB) and is present in only a few foods. Vitamin D is necessary for healthy bones and normal muscle function. Vitamin D can be measured with a blood test for 25-Hydroxyvitamin D. The Institute of Medicine recommends this level should be higher than 20 ng/mL. 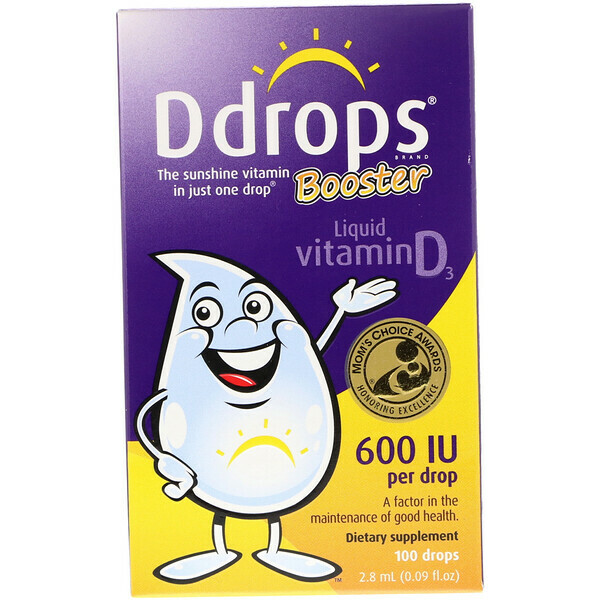 A vitamin D supplement may be required to raise 25-Hydroxyvitamin D to healthy levels. Research findings show a 25 (OH) D blood level above 20 ng/mL is related to better health. A vitamin D3 supplement may be especially helpful for anyone who avoids exposing skin to sunshine. 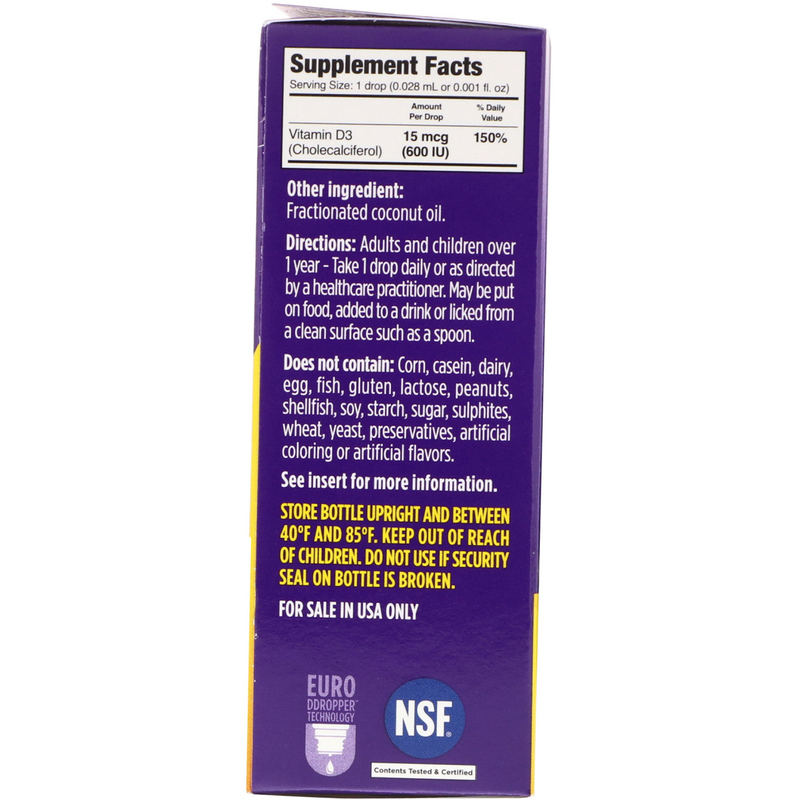 Adults and children over 1 year - take 1 drop daily or as directed by a healthcare practitioner. May be put on food, added to drink or licked from a clean surface such as a spoon. Does not contain: Corn, casein, dairy, egg, fish, gluten, lactose, peanuts, shellfish, soy, starch, sugar, sulphites, wheat, yeast, preservatives, artificial coloring or artificial flavors. Store bottle upright and between 40°F and 85°F. Keep out of reach of children. Do not use if security seal on bottle is broken.